Nova Scotia would prove to be vitally important in deciding whether Britain or France would be the dominant Imperial power in Canada. It's strategically important position at the head of the St Lawrence waterway meant that it would frequently change hands as both sides fought for supremacy in the area. 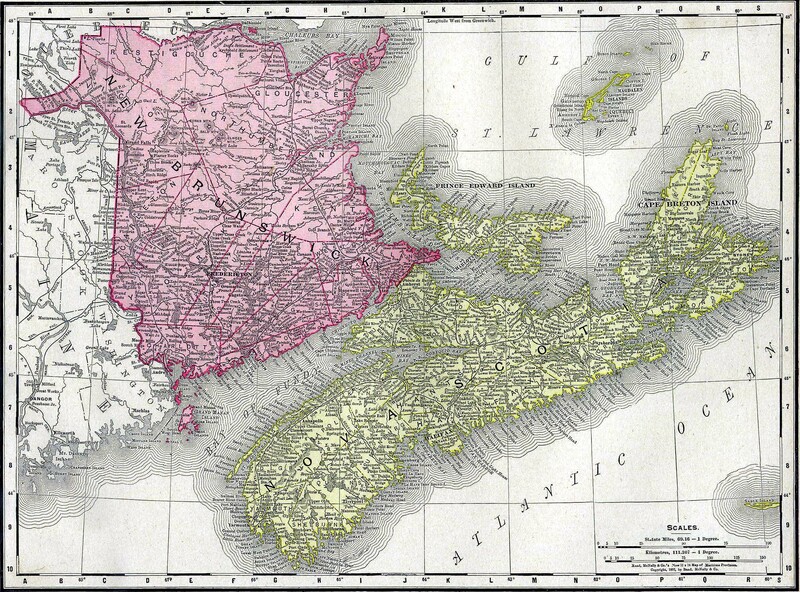 Despite being visited by John Cabot in 1497, Nova Scotia was originally claimed as part of the New France colony (Acadia) which also included New Brunswick and Cape Breton Island. Attempts were made to settle the area, although most French settlers were more interested in the hunting and trapping opportunities further down the St Lawrence and in the Great Lakes region. A settlement was established at Port Royal. As far as the English were concerned, Nova Scotia fell into the Northern part of the Americas allocated to the Plymouth Company. They encouraged a group of Scots under Sir William Alexander to try and create a settlement in the area. The settlement found it difficult to attract suitable settlers with the skills necessary to settle in an area with unusually harsh winters. The settlement hobbled along but was to fall victim to war between England and France from 1627. In 1631, the English agreed to hand control of the area to the French. The British were to return in 1687 and again in 1713 thanks to more wars - King William's War and the war of the Spanish Succession. 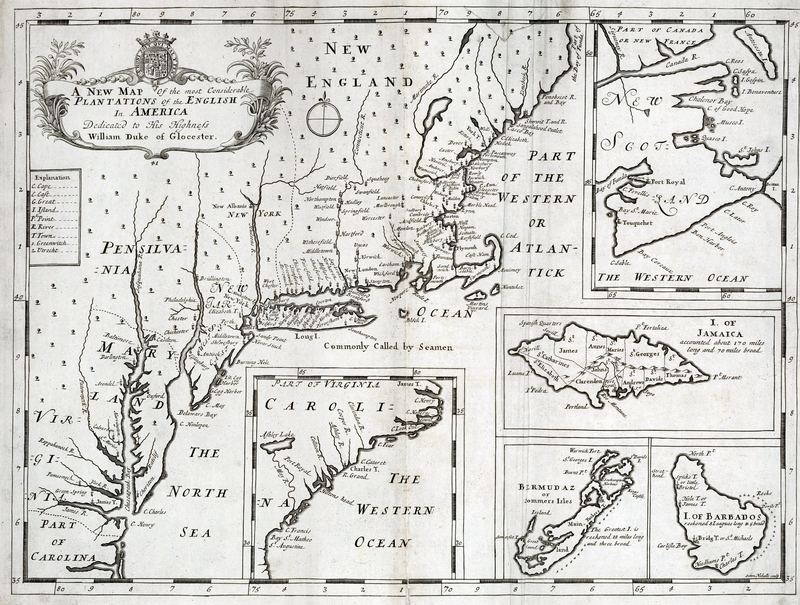 In King William's War English colonists occupied most of Acadia but handed it back at the conclusion of the war. 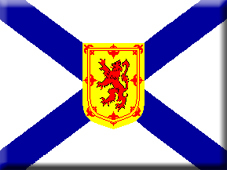 Howver after the Spanish Succession War, the English were to keep Nova Scotia as part of the Treaty of Utrecht. 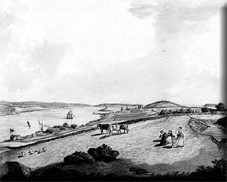 The French were to retain the two islands of Prince Edward and Cape Breton. On this latter island, the French built the formidable Fort Louisbourg to try and keep the St Lawrence waterways open. This fortress was finally to fall in the Seven Years War that would mark the end of French power throughout Canada. Despite their victory, British administrators were suspicious of the French settlers loyalty to the crown. The Catholic French resisted all attempts to convert religion or adapt the language and customs of their new rulers. The authorities tried a variety of methods to try and assure the security of the colony from expelling the Acadians to encouraging Protestant immigration from Europe. However, the security of the colony was secured thanks to the upheavals in the 13 colonies below Nova Scotia. The British government's lack of success in holding those colonies led to a huge influx of Loyalists seeking a refuge in a British Colony. Many of these settled in Nova Scotia tipping the ethnic balance decisively in favour of the British. 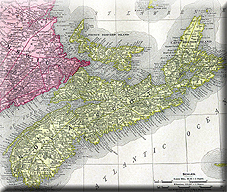 Nova Scotia gained a significant level of self-government in 1848 and joined the new Canadian federation in 1867.